All the flavor of fajitas, paired with all the juiciness of bone-in chicken? Yes, please! 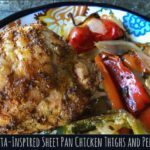 This super easy Fajita-Inspired Sheet Pan Chicken Thighs and Peppers recipe is also naturally low carb and gluten free. 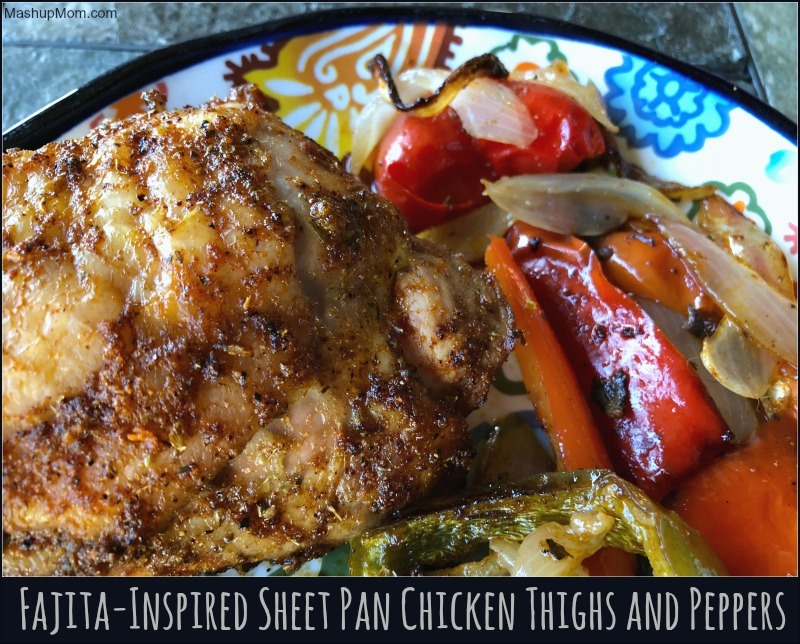 Last night was one of those nights that really just called out for a super easy one pan recipe, so without further ado, let’s have at some Fajita-Inspired Sheet Pan Chicken Thighs and Peppers! 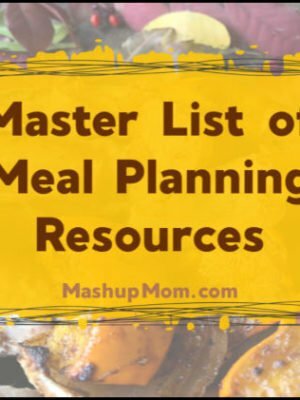 Whether you cook up your chicken and peppers as a different twist on your Taco Tuesday, or just as a change from your usual chicken dinner, this pretty sheet pan dinner idea should really hit the spot. 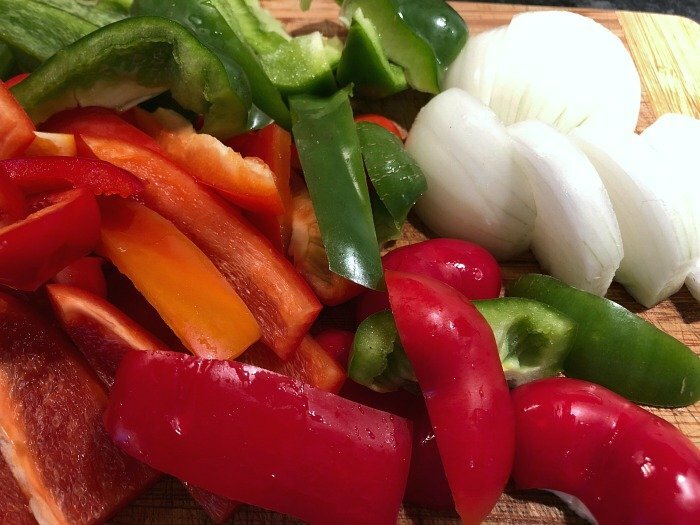 For this simple (yet flavorful) recipe I just had a few peppers to use up — one last gasp green bell pepper from the garden + two red from Imperfect Produce — as well as a pack of clearance chicken from the freezer. 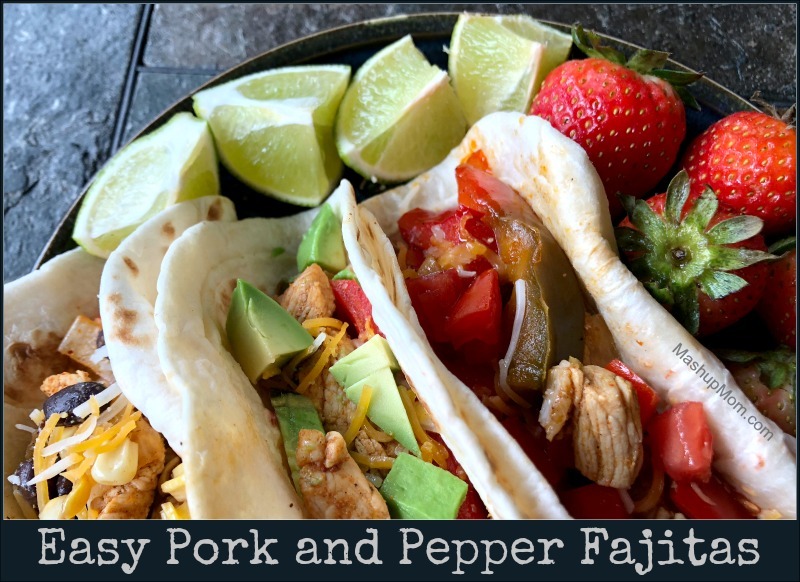 Looking at these ingredients somehow led naturally to this all-in-one fajita-ish dinner idea, which is also a great easy option if you’re Keto or low carb. Preheat oven to 425 degrees. Line a rimmed baking sheet with foil, and either spray it with cooking spray or lightly brush with olive oil. Trim the chicken and slice up the peppers and onions. Gently toss chicken and vegetables in a large bowl with the olive oil and spices until nicely coated. 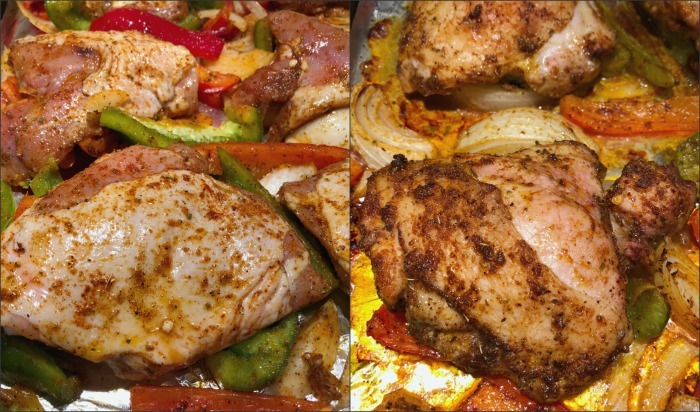 Arrange chicken thighs on top of the peppers and onions on the prepared baking sheet. Bake at 425 degrees for 35-40 minutes, or until chicken is cooked through. 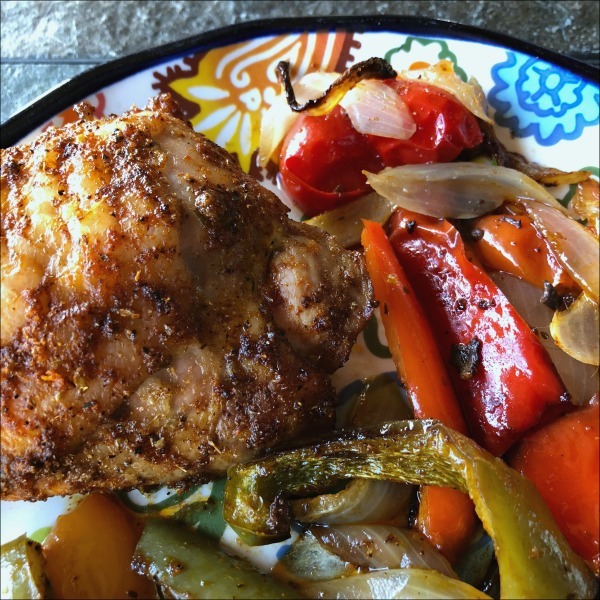 Serve the chicken with peppers and onions for an easy one-pan meal! 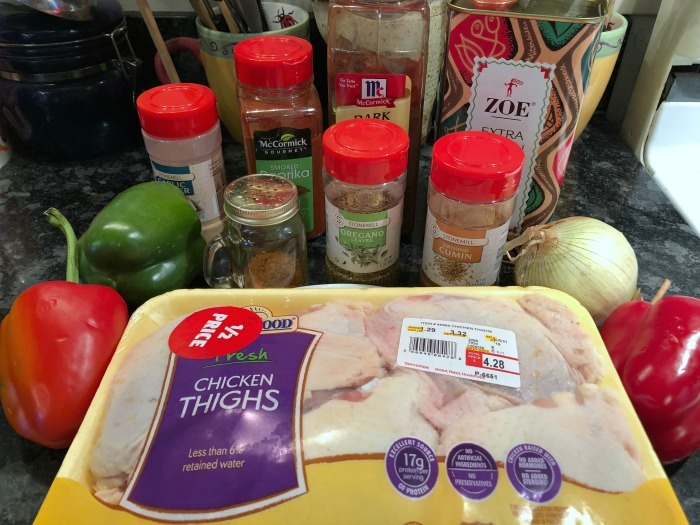 This super easy, fajita-inspired, sheet pan chicken thighs and peppers recipe is naturally low carb and gluten free, plus I even made it super easy to remember how to do the seasonings! Just throw in one teaspoon of everything, and call it a day. This one pan meal lets you enjoy all the flavor of fajitas, paired with all the juiciness of bone-in chicken — and, that’s a win-win for everyone. 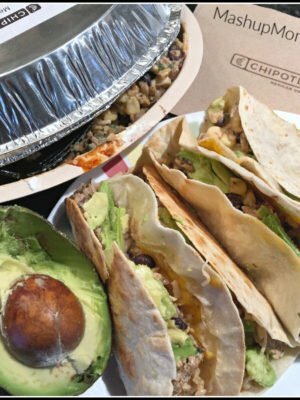 Psst — Looking for more fajitas or fajita-inspired recipes? Try these! This super easy, fajita-inspired, sheet pan chicken thighs and peppers recipe is naturally low carb and gluten free -- plus, I even made it super easy to remember how to do the seasonings! Just throw in one teaspoon of everything and call it a day. This recipe sounds terrific. I never use seasoned salt and was wondering what brand you used, but, can’t see it in the picture. Do you make your own? If so, would you give the recipe? Thank you so much. I have everything in my cabinet already! I see that you frequently get your meat at a discount. What is your secret to getting the meat half off? 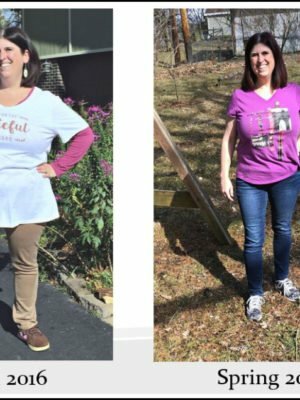 Do you go on a specific day or at a specific time to get the markdowns? Thanks. I just watch for it every time I go. 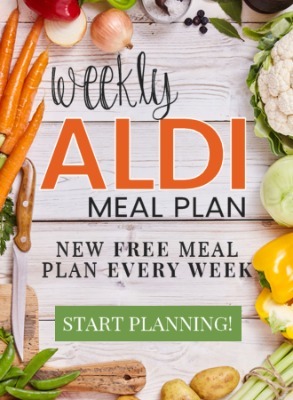 I think every store is different, but I tend to find discount meat at mine more often on Monday mornings or Tuesday evenings — I think whatever is reaching date and didn’t sell over the weekend, or right before the new sale ad is going to start. Then I freeze it for later. 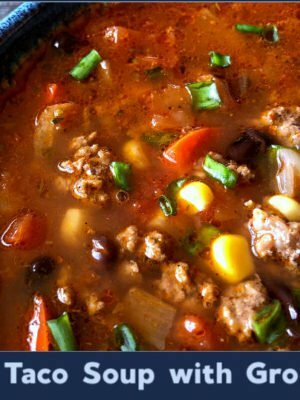 This looks so good and simple for weeknights! can I make this with chicken legs too? Do you mean the quarters? Or drumsticks? The drumsticks cook a little faster, so keep an eye on them, but you should be able to swap out just fine. Boneless thighs are much thinner and will cook more quickly on a sheet pan (more like 20 minutes). If you’re going to use them, I’d start the peppers first and then add the chicken to the pan about halfway through the cooking time — and you’re not going to get quick the same flavor. Or if you do it all at once, you can remove the chicken when done and then keep cooking the peppers to your desired level of doneness.